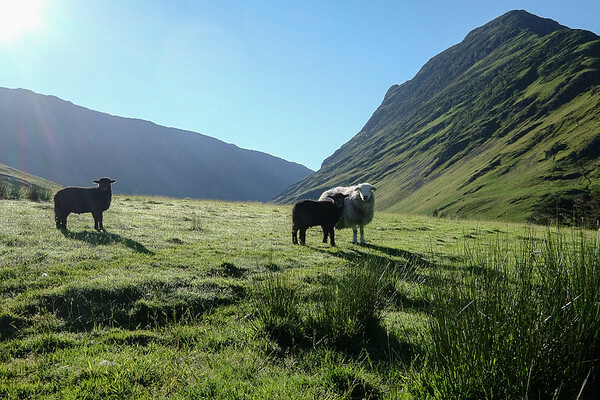 Cumbrian sheep are distinctive, usually developing a grey fleece. The lambs have black fleeces. At Gatesgarth in the Lake District, early morning.